Though data is the lifeblood of any organization, the exponential growth in data remains to be a challenge for the IT departments. IT modernization has had a profound impact on the way data is stored, accessed and analysed. Backup and Disaster recovery, although the vital parts of an organization’s data protection strategy, might still be one of the trickiest areas for today’s CIOs. Often, the traditional methods of backup and recovery prove to be ineffective and exorbitantly expensive in the modern context. Today’s diverse data environments and the growing cyber incidents call for a fresh and comprehensive approach to data protection—more specifically for backup and recovery. Increasingly, organizations are turning to Cloud to fill this void. More number of businesses are considering Cloud as a critical step in modernizing their storage, backup, and recovery systems in the long run. We have had ample evidences of failed backup and recovery mechanisms, which caused major reputational and financial damages to organizations—the most recent one being British Airways. An unexpected power outage at the airline’s data centre led to a major IT system failure as the company’s backup and DR plan failed to kick in. Over 75,000 passengers were stranded at various airports as the airline had to cancel or delay hundreds of its flights. It took several days for the carrier to resume its full schedule after the incident. With the complexity and volumes of data continuously rising and data recovery time objectives shrinking so quickly, it is not surprising that many companies are not prepared for most disaster situations. Even the most tech-savvy organizations have learned that investing in the wrong technology can prove to be disastrous. Whether it’s a power outage or a ransomware attack, organizations are looking at drastically reducing backup and recovery times. Rapid recovery options are now an essential element as downtime directly translates into loss of revenue and productivity for the business. An ‘always on’ IT department, with zero downtime, is no more just a ‘clause’ in an SLA. With more organizations embracing cloud, and moving towards a hybrid cloud scenario, CIOs now have the challenge of ensuring that their backup and recovery solution works seamless across multiple platforms. The good news is, the solution lies within Cloud. As migration of workloads from a primary data center to the cloud became easier, there has been a spike in the number of organizations that opt for backup and recovery on Cloud. Better Cloud storage economics and improved confidence in cloud data security are the other major drivers for this trend. A recent survey by TechValidate indicate that 45% of participants have cloud disaster recovery capabilities. In addition, 42% of surveyed IT organizations reduced storage hardware and media costs related to data management by 40% since deploying cloud DR. This means that an on-demand failover solution doesn’t have to be expensive, especially with cloud entering the mainstream. It also improves the level of disaster recovery preparedness without requiring pre-purchased hardware or disrupting production operations. According to Gartner, ‘DR-as-a-Service’ market will nearly triple in the next three years to a revenue point of $3.4 bn by 2019. Cloud is already a primary backup site for many small and medium enterprises for disaster recovery. Large organizations, that have already invested on on-premise solutions, are turning to cloud as the secondary backup and failover platform. 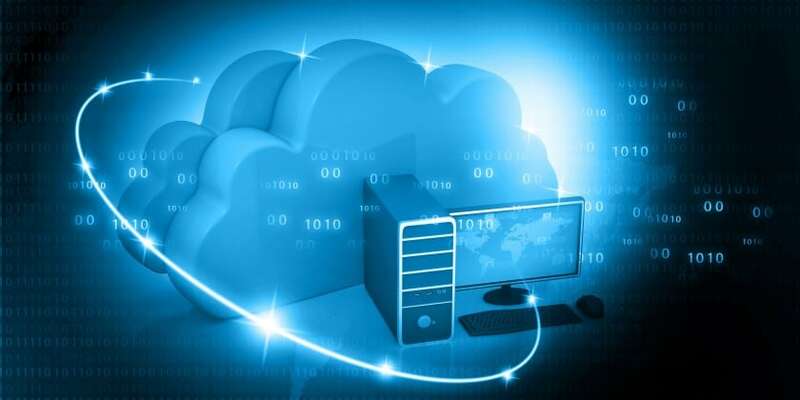 Cloud-based backup and recovery solutions will become more popular as businesses seek out affordable and scalable options. Why Cloud is the Answer for Your Backup and Recovery Dilemma 0 out of 5 based on 0 ratings. 0 user reviews.